Whether you have a plumbing emergency, or are planning work sometime in the future, how do you know if you’re hiring a reputable plumbing service? Head online and start searching. Visit a potential plumbers’ website. Is it professional? Does it make you feel comfortable with hiring them? From there, head into the search engines and type in your potential plumbers name. What kind of information comes up on other websites? A company that offers quality service, and is well known in the industry will have information on a variety of sites. If you’re in Colorado, chances are you’ve heard of Tom Martino’s troubleshooter website. By looking up your potential plumbers name, you can find out if they’ve made Tom Martino’s referral list, and how people rate his services. 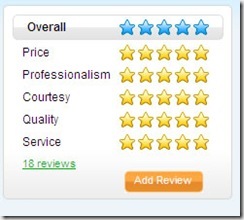 The more reviews, the more comfort you should be able to have with that particular company.